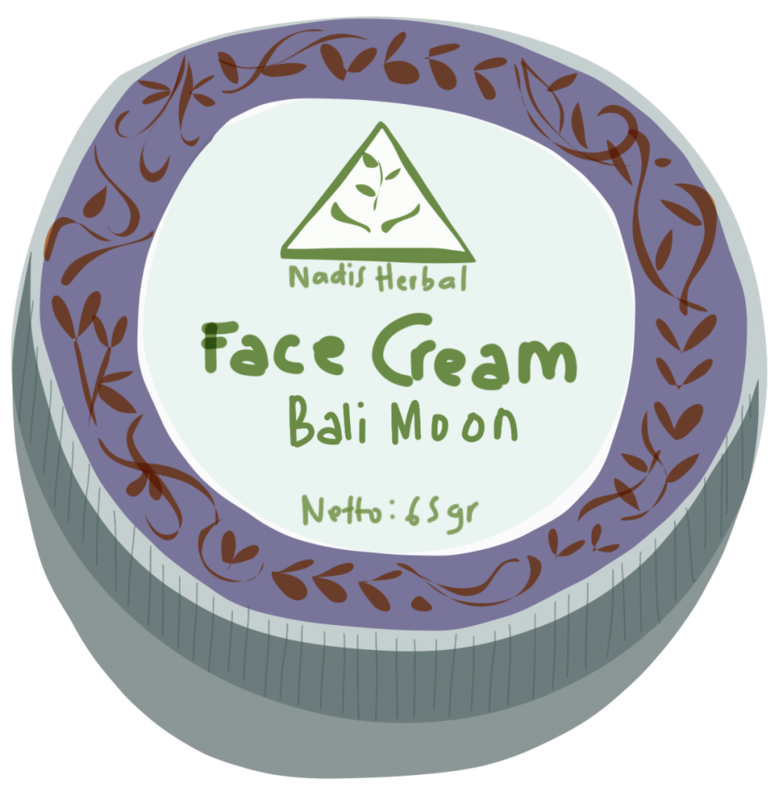 After spending more than 5 years going back and forth to Bali (well, Ubud, to be exact), I have finally found some of my most favorite body care products that are made in Bali. 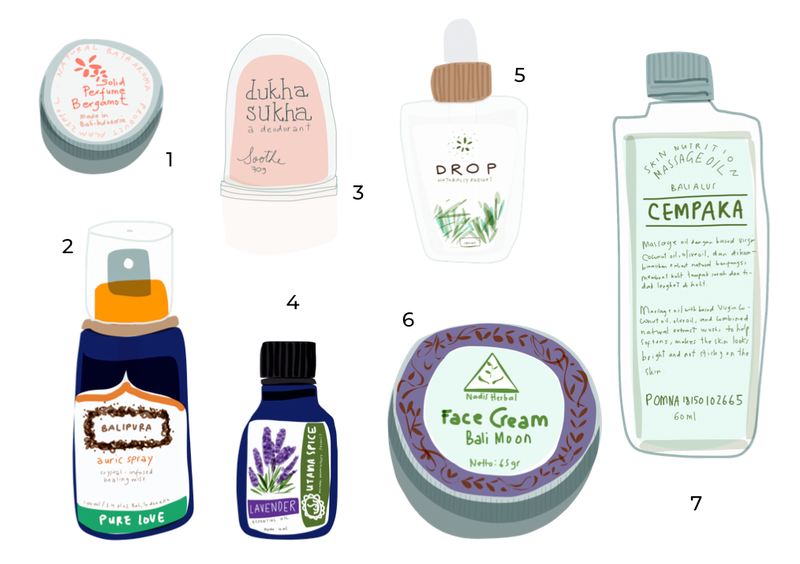 I had a great amount of time illustrating them as well, so here are 7 of Bali body care products I personally love! I have been a fan of their solid perfumes for years! Each one comes in a small tin can that can be easily slipped into my wallet, jeans’ pocket, or handbag. I always bring one with me during international flights as well (due to security checking, it’s too much of a hassle to have liquid perfume in my bag). However, what I love the most about their series of solid perfume is the soft, faint, and fresh fragrance. Every time I smell it, I feel as if I have just gotten out of a shower. Rose, Jasmine, and Frangipani are also some of my favorite fragrance from their collections. 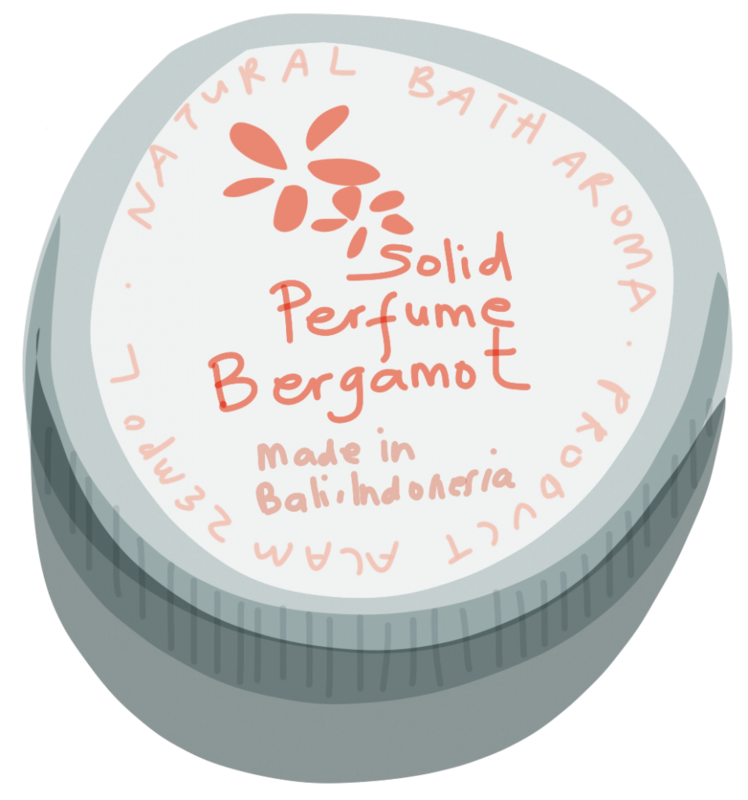 However, the Bergamot is currently my favorite! I love spraying Balipura Auric Spray as face/body mist after exposing myself to the hot Balinese sun. Well, actually, this one is ‘marketed’ as a ‘healing spray’: made from holy water, blessed by a Balinese priest, and infused with crystals. Thus it helps to ‘cleanse’ your aura. Despite this backstory, I simply love the way this spray feels on my skin; as well as its muted fragrance. Pure Love has always been my favorite fragrance. Besides, who doesn’t need a bit of pure love every now and then? 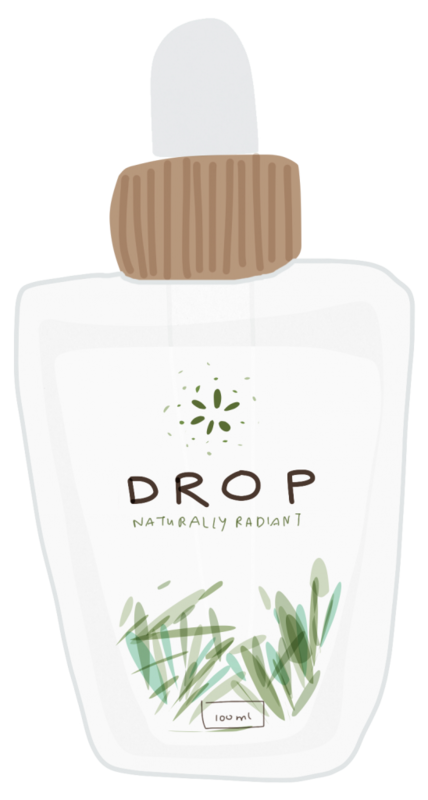 This mineral deodorant has been my life-saver! In principle, I do not like gelly/liquidy deodorant with fragrances. I prefer the powdery ones, but most of the times, they stain my clothes. Dukha Sukha is a mineral deodorant without fragrance (although they come in three types: pale pink-Soothe, pale yellow-Glow, and pale green-Fresh). To use it, simply wet the mineral with water, and use it like you would use a usual roll-on deodorant. And I have to tell you that this deodorant has helped me to clear the dark skin underneath my armpit; due to shaving. After a year of using it, I was surprised to see that my armpit’s skin has returned to its original shade! This deodorant is quite expensive but it can actually last for about a year. 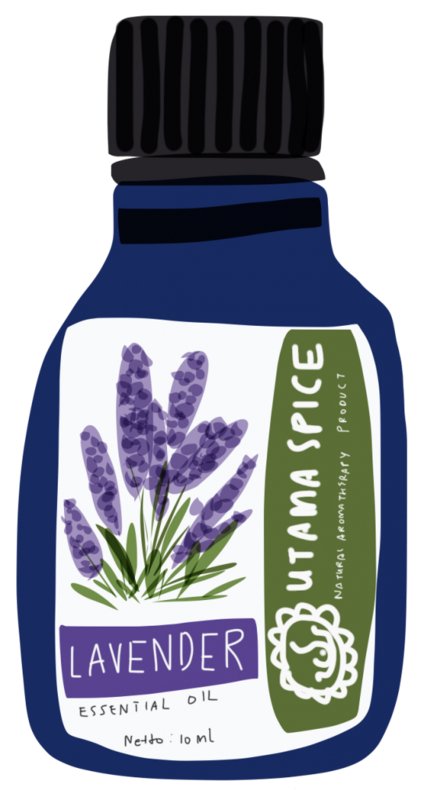 Utama Spice has always been my go-to brand for essential oils. First, because they are working with local farmers. Second, because their price is quite reasonable. Third, because their oil is not too thick or more diluted than the more expensive (or serious) brands. For me, these reasons are enough to choose their essential oils for casual use. If I have to choose one essential oil, Lavender would be it! I can use it to cure acne/pimples, repel mosquitoes, make a body spray, or put a few drops of it on my pillow for a good night’s sleep. (I also love to use this oil as a vaginal wash!). Don’t forget to dilute your essential oil with other carrier oil/water before using it! I love virgin coconut oil and I am not too picky about it. Most of the times, any brand will do. However, Drop Bali is definitely my favorite. Not only because it comes in a beautiful glass bottle (with a pipette! ), but also because of its smooth texture and faint coconut fragrance. It feels as if their coconut oil is being absorbed more quickly when I applied it to my skin. I use virgin coconut oil as body lotion, toothpaste, face/make-up cleanser, moisturizer, scrub (add some salt or coffee powder), lip balm, hair conditioner, and after-sun lotion. Sometimes, I also use it for oil-pulling. It is very versatile! This face cream does magic to my skin! I use it at night, before going to bed–and I always find my skin so supple and moist in the morning upon waking up. True, this face cream is very oily. Truth to be told, the moment after you’re applying it, your face will shine like fries. For this reason, I only use it before bed. But maybe this ‘oily’ feature is what gives the cream its magic? The face cream contains some Ayurvedic ingredients like Amla and Tulsi oil. Amla (gooseberry) is believed to be rich in antioxidants and vitamin C; thus can help to tone and tighten our skin, make it firm and soft. Tulsi (sweet basil) oil has anti-inflammatory property to deal with skin irritations and acne. It also has a soothing and relaxing effect. To date, this is the cheapest face cream I’ve ever used in my life. I’ve been using this (and only this, without other products apart from coconut oil and sunblock) for my face for more than 4 years now. I love Bali Alus’ massage oil because of its faint fragrance and its smooth feeling when applied to the skin. The oil helps my fingers to slide smoothly when I massage my shoulder, arms, or legs early in the morning, or before my evening shower. Cempaka (champaca) is my favorite fragrance so far because it truly reminds me of the smell of Bali! Sometimes I also use it as a moisturizer before bed, dabbing it a bit on my knee, elbow, and the sole of my feet. Where can you find these Bali body care products? Some grocery shops in Bali, like Bali Buda, Coco Supermarket, or Down to Earth Market have it. Or, the best way to get them is by ordering them online via your favorite e-commerce platform! Seneng banget ada artikel kayak gini. Pas banget aku juga lagi di Bali, lagi penasaran pengen coba produk2 lokal di sini. Solid perfume kayaknya menarik, wanginya menyengat nggak, Kak? Soalnya kadang beberapa produk kecantikan di Bali wanginya agak nusuk.